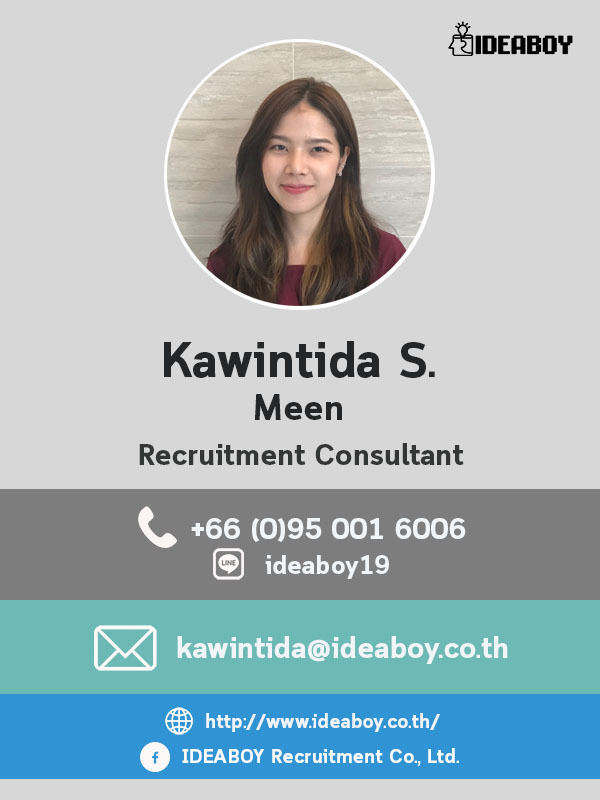 - Responsible for Human Resource Management and Development including recruitment, training, career development, compensation and benefits, and cooperating with Government agencies. - Maintain and enhance the organization’s human resources by planning, implementing, and evaluating. - Report directly to CEO and work closely with other branch offices on various HR issues and projects as assigned. - Control and monitor the development of the company, according to the strategic plan. - Participate in executive, management, and company staff meetings and attends other meetings or seminars. - Responsible for general administrative work in the office. - Bachelor’s degree or Master Degree in Human Resource Management/Human Resource Development or related field. - Experience in a manufacturing environment would be advantage. - Have knowledge of Thailand labour laws is a must. - Ability to build strong working relationships across all levels of organization, and remote areas. - Have experience coordinating/working on BOI related issue before. - Excellent team leader with interpersonal skills and a positive approach.